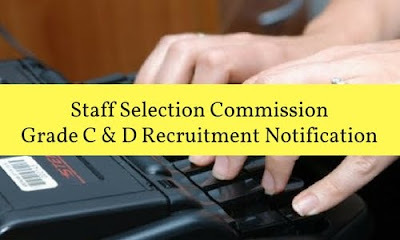 The Staff Selection Commission will hold an open competitive Computer Based Examination for Recruitment of Stenographer Grade „C‟ (Group "B‟ Non-Gazetted) and Stenographer Grade „D‟ (Group „C‟ Non-Gazetted) in the month of September 2017. Applications must be submitted only in online mode. Detailed instructions as in Annexure – I and Annexure – II, may be referred to. Candidate may note that only online application will be accepted at http://ssconline.nic.in only.